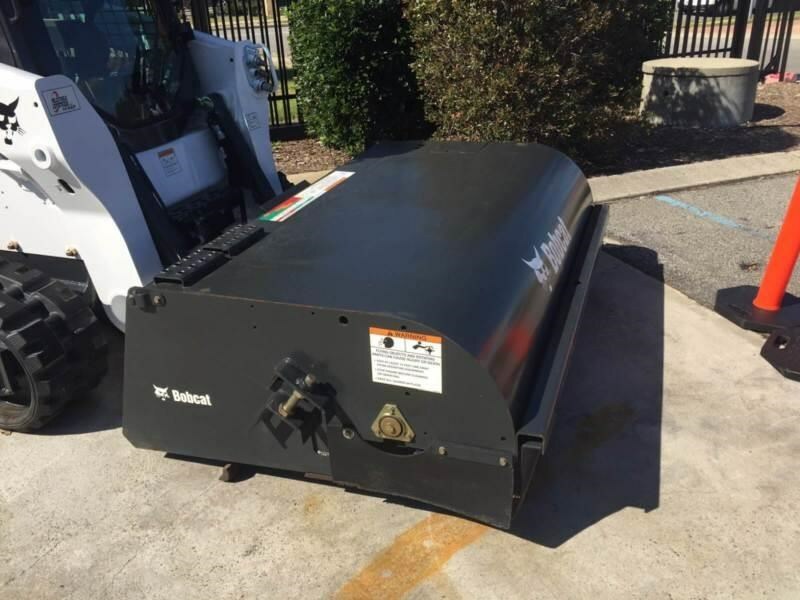 When operating this tough attachment, poly bristles sweep and deposit debris in the sweeper bucket. Simply dump the material when the bucket is full. There is no need for multiple clean-up attachments. You can also use the sweeper to spread materials evenly across a job site. Ideal for construction, industrial and municipal jobs, the Bobcat® sweeper maintains optimal bristle-to-surface contact and delivers easy-to-use efficiency. Clean parking lots, sidewalks, docks and warehouses. Scrape mud and other caked-on materials from roadways, driveways and other job sites. Cut through caked-on mud and materials with the replaceable bucket cutting edge. Its reversible to last twice as long. Operate the sweeper attachment going in either forward or reverse. Sweep in reverse with the cutting edge on the ground to sweep material into the bucket with the rotating poly bristles, similar to a broom and dust pan. In the forward direction, the bristles flick material forward against a rubber flap. From there, the material goes over the top of the bristles and is deposited into the bucket.